One of the most important decisions you will make when moving to Sydney or New South Wales is deciding where to live. Factors to consider include your budget, the size and type of home you need, how long you're prepared to commute to work and the kind of lifestyle you enjoy. Sydney is a dynamic international city where you can live in a new apartment development in a bustling inner-city neighbourhood, an art-deco building just minutes from the beach, or a larger house that backs onto bushland and walking tracks. Sydney is home to 4.67 million people and spans a large area of 12,368 square kilometres. The city has over 500 suburbs – each with its own personality, benefits and lifestyle. Property in Sydney – particularly inner-city suburbs or popular waterfront areas – is more expensive than in regional NSW. More than 200 languages are spoken in Sydney and over one-third of the city's residents are born overseas. Most migrants are from Britain, China, India and New Zealand, and the city's multicultural communities can provide instant support and social networks for newcomers. Regional New South Wales offers attractive accommodation options in coastal cities, popular tourist towns, inland regional centres and idyllic country towns. You may choose to live in a new apartment complex, your own house or on a large rural property. Regional NSW canvases a vast area of over 800,000 square kilometres and has a total population of 2.5 million people. The state is home to many diverse cultures and welcoming communities. More than 200 different languages are spoken in regional NSW, making it the most multicultural state in Australia. Finding a house or apartment in NSW from interstate or overseas is relatively simple – you can search local real estate websites for a property to rent or buy. Many websites let you specify where you wish to live, what kind of home you want and your budget. Some also offer a breakdown of a suburb's population, public transport and demographics. For more information visit finding a place. Real estate agents usually manage rental properties on behalf of owners and organise inspections for prospective tenants. If you wish to rent a property, you will need to submit an application with your personal details. When your application is accepted, you must pay a rental bond, which will be reimbursed when you move out if you leave the property in good condition. For more information visit renting a place. In NSW you can purchase a home by private treaty or public auction as either an owner-occupier or an investor. Most homeowners buy property with a combination of their savings and a home loan. 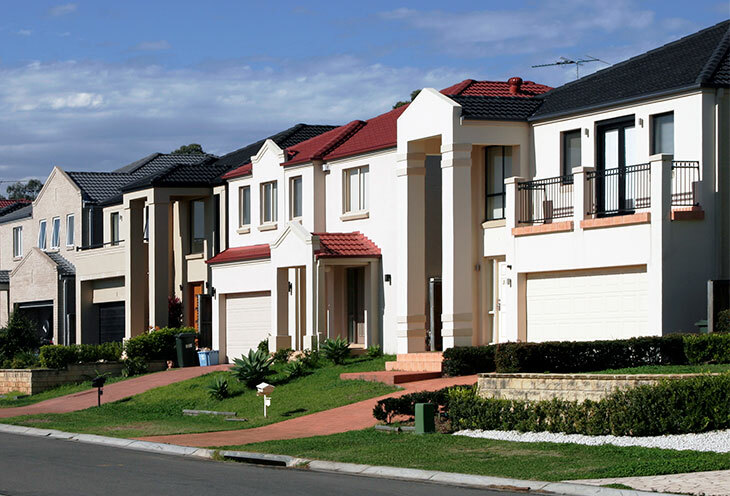 Australian banks offer globally competitive interest rates on home loans. For more information visit buying a place.